Why Mutual Funds are much better for investors in India? return, but at the same time people also check their investment should be safe and secure. I strongly believe that mutual funds are best available option in financial market and that can help a lot to investor to manage their wealth. What are the major benefits of investing through Mutual Funds? A Mutual funds let’s you participate in a diversified portfolio for as little as Rs. 5000/- and sometime less. It is less expensive way to invest compared to directly investing in the capital market because the benefits of economics of scale in brokerage, custodial and other charges translate into lower costs for investors. 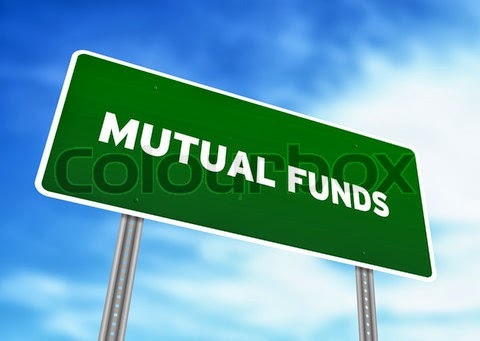 Mutual funds in invest in number of companies across a broad range of sectors and industries. This diversification reduces risk because all the stocks will not decline at the same time; some may perfume well at the same time that others are not. Mutual fund unit holders can benefit from diversification techniques usually available only to investors wealthy enough to buy significant positions in a wide variety of securities. Mutual funds provide the services of experienced and high skilled professionals backed by a dedicated investment research team that analyses the performance and prospects of companies and select the suitable investments to achieve the objectives of the particular scheme. Fund management is a separate department where there is an expert fund manager at the top and a research team to help him take decision regarding when and where to invest. Investment in mutual fund reduces paperwork and helps you to avoid many problems such as a payment delays, bad deliveries, auction and follow up with brokers and companies. Mutual funds also save time and make investing easy and more convenient. Mutual funds add flexibility through features such as a Systematic Investment Plans (SIP) Systematic withdrawal plans (SWP) Systematic transfer plans (STP) and Dividend transfer plans (DTP). You can invest systematically or withdraw funds according to your needs and convenience. In open-ended schemes, you can get your money back promptly at net asset value (NAV) related prices from the mutual fund itself. Mutual funds offer investors the exit options if they require money, but they have to pay exit load. The rate of exit load is different in different type of schemes. Investor can get regular information on the value of their investment in addition to disclosure on the specific investments made by the mutual fund scheme, the proportion invested in each class of assets and the fund manager’s investment strategy and outlook. The experience of many mutual fund schemes indicate that if the fund manager is capable of managing the portfolio efficiently, than over a long term the return will be considerably more than the level of inflation. An investor with the help of financial advisor can invest in the scheme that suits him depending on his risk appetite, time horizon and expected return to achieve his financial goals. All mutual funds companies are registered with SEBI and they functions within the provisions of strict regulations designed to protect the interests of investors. The operations of mutual funds are regularly monitored by SEBI.